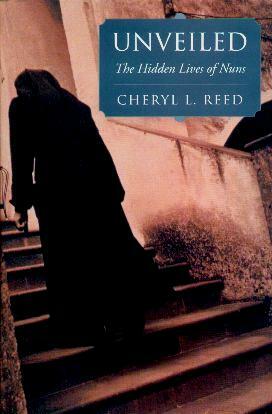 This is the beautifully told story of journalist Cheryl L. Reed's journey spending time getting to know nuns. Why they joined, how they coped with the changes, and their faith. Like many of us, Ms. Reed thought of nuns as strict disciplinarians who sent shivers through us as children. She travelled across the country visiting different monasteries (some nuns still refer to their homes as convents) and dared to ask personal questions. From the Benedictine Sisters in Minnesota, the Sisters of Social Service in Los Angeles, to the Franciscan Sisters in Texas, and a whole lot more inbetween, Cheryl talks to hundreds of nuns and we get to hear about their diverse backgrounds and their reasons for becoming nuns. What she discovered will surprise you. Many sisters come to join at an advanced age, being widowed or divorced, and having grownup children, and some join straight out of school or college. What drives these unlikely candidates to join this world of women who have devoted their lives to serving God and to helping others? All is not as we suspect. Cheryl's interest in this branch of "feminism" is a real eye-opener. Also, and rather interesting, is the question surrounding the wearing of habits, as well as nuns who wear "normal", everyday clothes. Cheryl's book is divided into the vows taken which include Obedience, Chastity, and Poverty, and she also includes their different Communities and Spirituality. Conclusion - A fascinating and enlightening read.